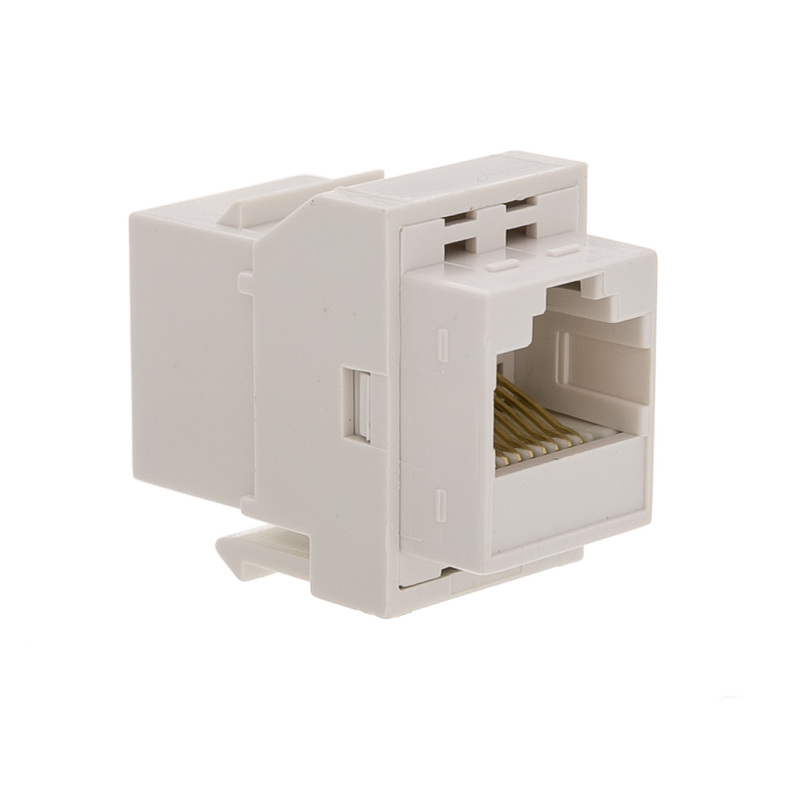 Use this White Cat6 inline keystone coupler to neatly bridge two Cat6 cables. Keystones can be used with our keystone wall plates and our keystone blocks. the keystone system allows one to maintain a modular/adaptable installation. 6 of 6 passed tester. Good firm clipping bar. Would probably not fail after many install/removes. Worked perfectly. 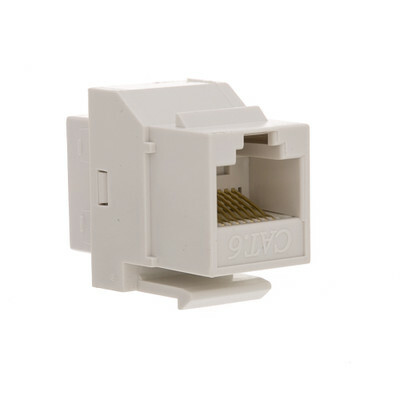 I had full 100 mbps going through 2 of these and a 100 foot cat 5 cable. Great product, fits on Decora plate perfect. This is the way to go if you don't care about conserving every foot of Ethernet cable and having the splice the wiring strands at each connection point! These are a life saver when you have low vision like I do. 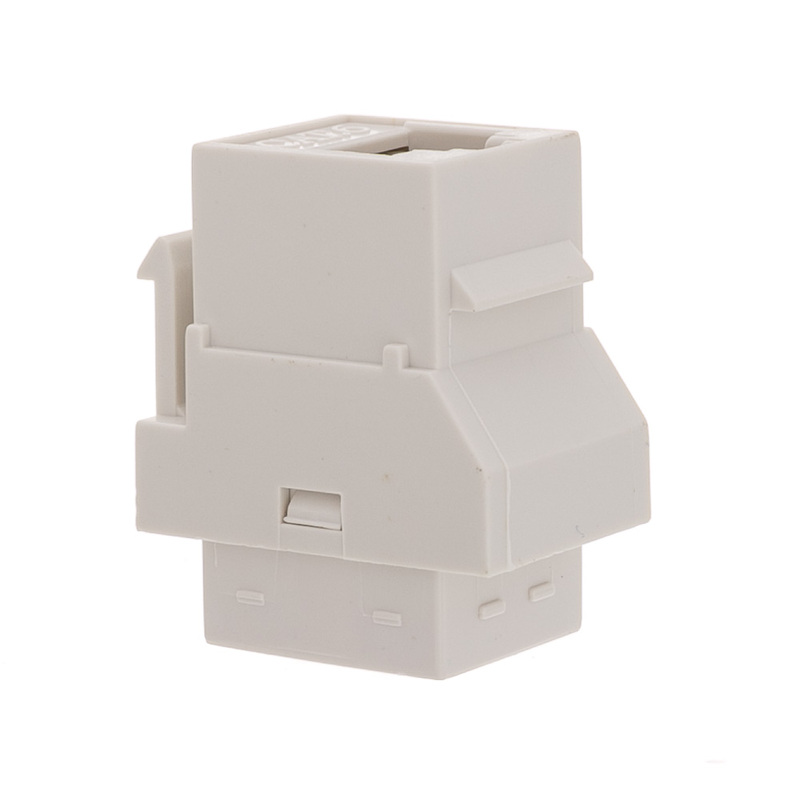 There is no way I would be able to wire a plug on a length of bulk cable with them being so small. 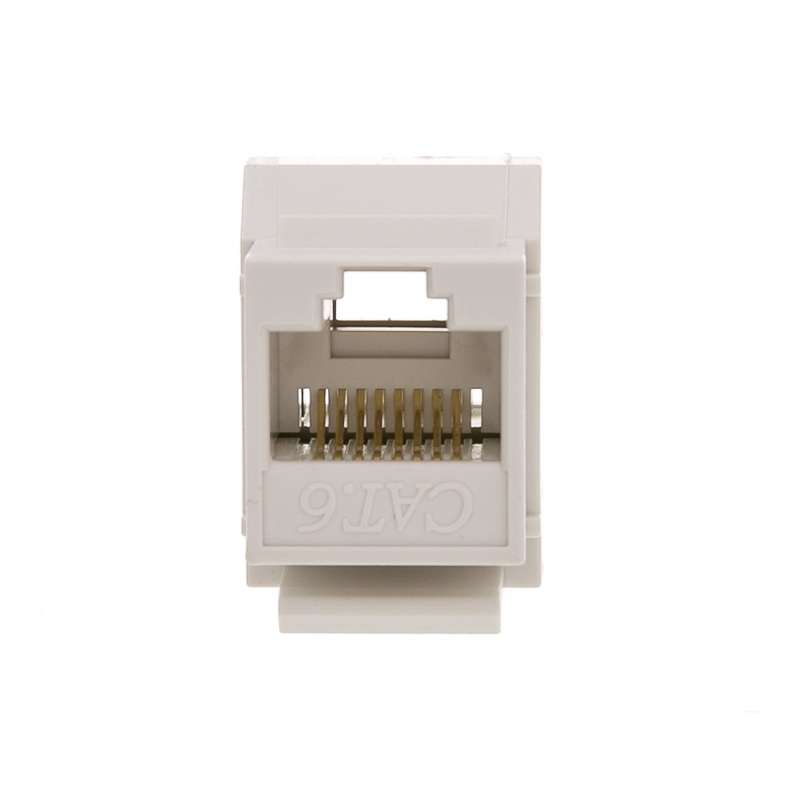 I was actually a Cat5 coupler. But it looks like it will work. Inexpensive and works great for my low voltage installation. It brought the cost per drop down to a little over $3, rather than nearly $6. I will order again. Product met with my expectations.